Micromax bharat 1– Hi Guys, Micromax is launched its new 4G VoLTE Android feature phone in cooperation with Bsnl. You can buy it from 20 October. The phone is made by the collaboration of BSNL & domestic smartphone maker Micromax at the price range of Rs 2200. Read below more info of this Device. The Micromax Bharat 1 4G VoLTE Feature Phone price is Rs 2,200. The phone comes with pre loaded internet and voice calling offers. 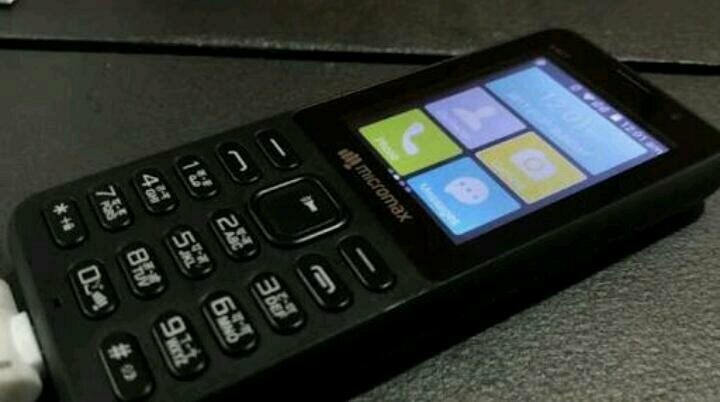 The phone is launched to compete with Jio 4g feature phone. Many company launching 4G VoLTE Feature phone one by one. Micromax phones are good and cheap but are not long lasting. Now micromax launched bharat 2 with Vodafone. The price is different. You can check which networks and phone will suits you. Micromax & BSNL Collaboration : Launched its 4G VoLTE Feature Phone. The Sale will Start from 20 October 2017. The Phone is good and have some extra feature. Also, it is a result of collaboration between BSNL and Micromax. Both are Indian company and you may familiar with Micromax phone. Like all other featured phone Bharat 1 has similar features and specifications. The Phone become amazing with the collaboration with BSNL. With the launch of this feature phone, BSNL introduce Rs-97 Tariff plan that offers unlimited data, call & SMS. Unlimited call is valid for local as well as roaming. The most amazing thing in this phone is that, you can use Internet banking too. It is just one more step for Digitisation of India So, if you use internet banking then this is secured and easy to access.